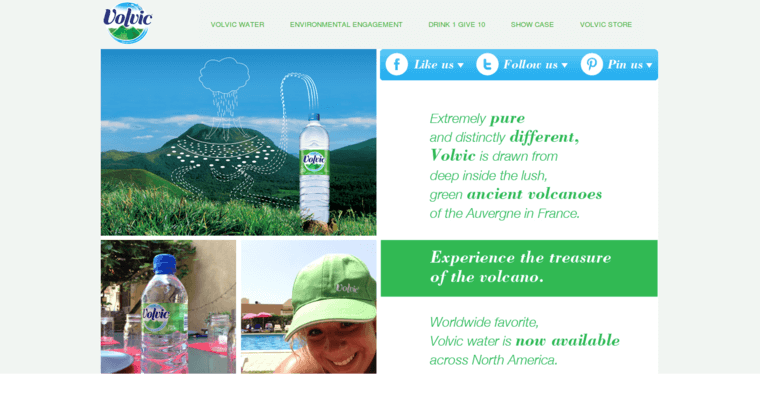 The Volvic brand of bottled water is classified as a volcanic water because it is sourced from a dormant volcanic region in central France. This water comes from the rain that falls in this area, which soaks into the ground where it begins a journey that takes it through several layers of volcanic rock. The spring where the water is captured for bottling is situated in a protected environment referred to as Auvergne. The name of the water comes from the town of Volvic where the Clairvic spring is located. As a volcanic water, Volvic is enriched with essential minerals that benefit the body. As the water travels through the many layers of underground rock it picks up calcium, potassium, bicarbonates and magnesium. The underground rock formations also act as a natural filtration system that protects the water from being touched by undesirable pollutants. This water also has a natural pH level of 7.